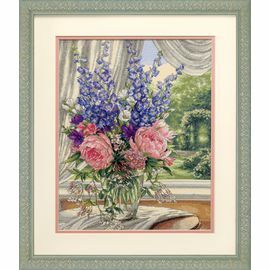 A stunning arrangement of Peonies and Delphiniums is featured in this counted cross stitch still life. 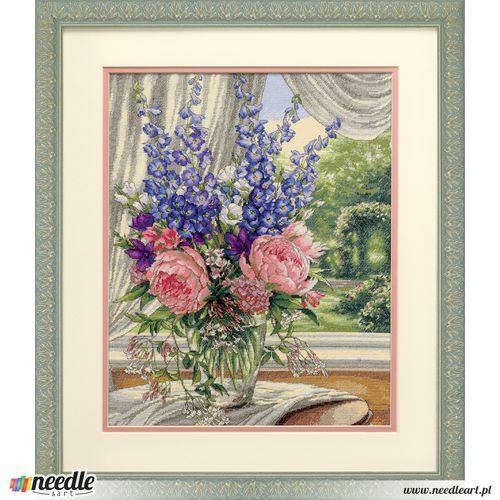 Kit contains presorted cotton thread, 18 count white cotton Aida, needle, and easy instructions. A Gold Collection design. Finished Size: 12" x 15" (30 x 38 cm). Designed by: Igor Levashov. © Igor Levashov, Licensed from Galaxy of Graphics, LLC.